Leonardo’s most brilliant and sustained scientific pursuit was his study of human anatomy. He made hundreds of drawings from corpses that he had dissected in monastery hospitals, recording many anatomical structures for the first time in medical history. 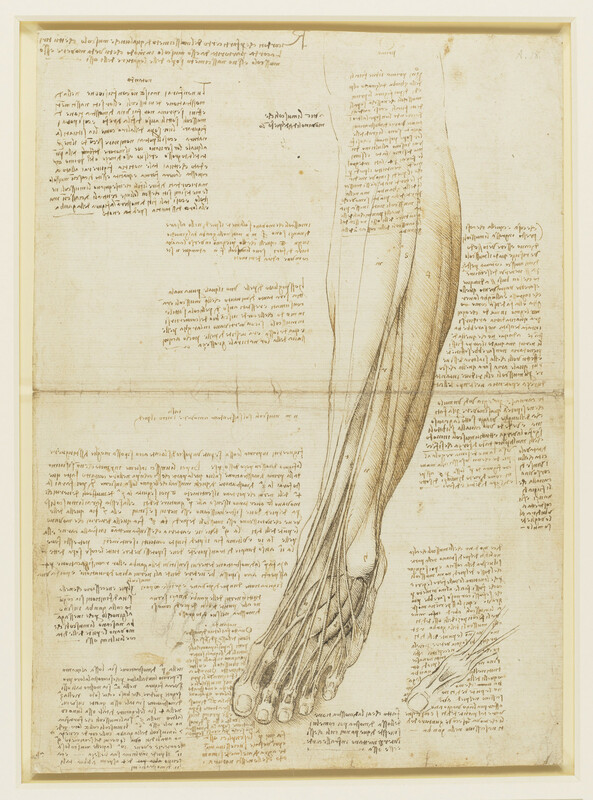 This unusually large sheet, showing the arrangement of bones, tendons and muscles in the lower leg and foot, exemplifies the clarity with which Leonardo was able to represent complex structures.